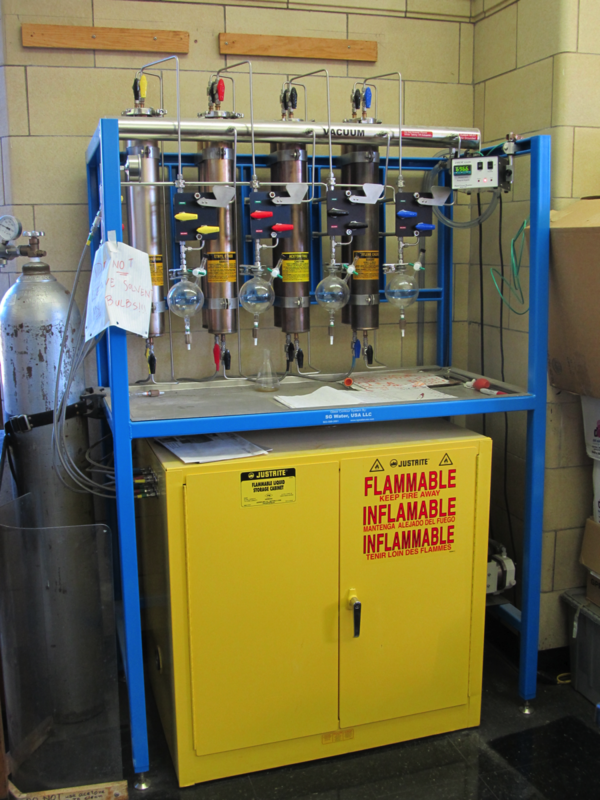 The Trinity Chemistry Department has a Meyer solvent dispensing system that is used to obtain dry solvents. At present, it is set up to dispense dry ether, tetrahydrofuran (THF), methylene chloride and acetonitrile. This apparatus is located in Clement 301, the teaching laboratory for organic chemistry. Students doing research with Professors Curran, Nicaise and Prigodich are likely to use this apparatus.